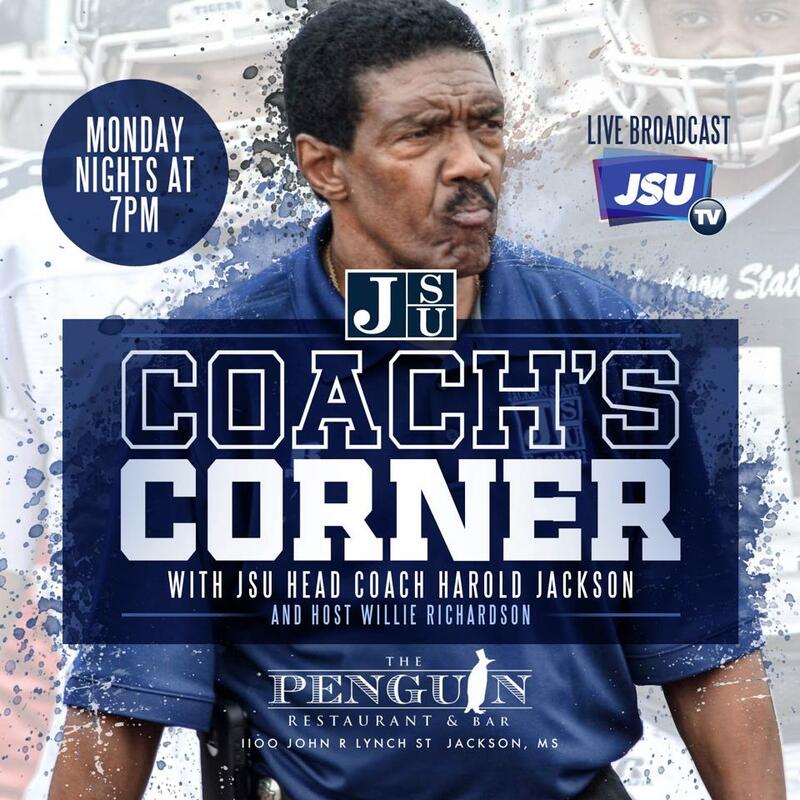 The COACH’s CORNER Show with JSU Head Football Coach Harold Jackson and Host Willie Richardson will be broadcast tonight. Rob Jay of JSUTV will be taking questions and comments from audience members during the LIVE BROADCAST. Hear what the coaches and players have to say about last week’s 33-30 triumph over Arkansas Pine Bluff and next week’s game plan for Prairie View A&M. Coach’s Corner happens every Monday Night at 7:00 pm at the famous Penguin Restaurant & Bar.